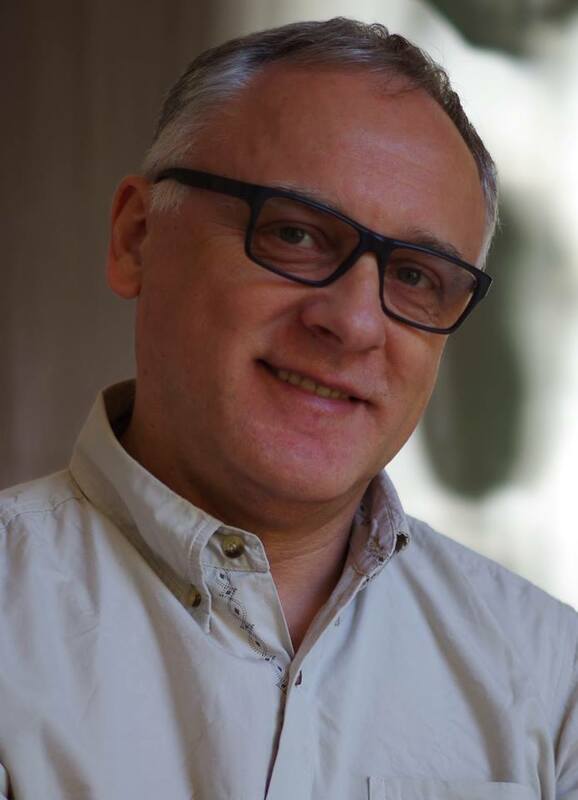 Zoran Ivanovic received his MD and DSc in Experimental Hematology at Faculty of Medicine, and also his MSc degree in System and Comparative Physiology at the Faculty of Science of Belgrade University. He specialized in Transfusion (Bordeaux 2 University) and in Cell Therapy (Paris 7 University). He received the “HDR” (Habilitation à Diriger les Recherches) Degree at Bordeaux 2 University. He 1989 he was a research assistant at the Institute of Medical Research, Belgrade, where he received the title of Research Professor in 1998. He was appointed Associate Professor of Hematology at the Medical Faculties of Limoges University and Bordeaux 2 University in the period 1999-2002. Since 2002, he has been Scientific Director of French Blood Institute for the regions of Aquitaine and Limousin where he founded his research laboratory in 2003. Since 2011 he is a guest professor at the Medical faculty of Nis University (Serbia) and from 2015 adjunct professor of Luxembourg University. Dr Ivanovic is full member of Medical Sciences Academy of Serbian Medical Society. Stem cells, Progenitor cells, Hematopoietic stem cells, Mesenchymal stem cells, Self-renewal, Hypoxia, Oxygen, Proliferative capacity, Experimental transplantation, Regenerative medicine, Ex vivo expansion, Ex vivo conditionement. Ivanovic Z. Hypoxia or in situ normoxia: The stem cell paradigm. J Cell Physiol 219: 271-5. 2009. Review. Ivanovic Z. Respect the anaerobic nature of stem cells to exploit their potential in regenerative medicine. Regen Med 8:677-80, 2013. Rouault-Pierre K, Lopez-Onieva L, Anjos-Afonso F, Lamrissi-Garcia I, Serrano-Sanchez M, Ivanovic Z, De Verneuil H, Gribben J, Taussing D, Rezvani HR, Mazurier F, Bonnet D. HIF-2ï¡ protects human hematopoietic stem/progenitors and acute myeloid leukemic cells from apoptosis induced by endoplasmic reticulum stress. Cell Stem Cell, 13:549-63,2013. Guitart AV, Debeissat C, Hermitte F, Villacreces A, Ivanovic Z, Boeuf H, Praloran V. Very low oxygen concentration (0.1%) reveals two FDCP-Mix cell subpopulations that differ by their cell cycling, differentiation and p27(KIP1) expression. Cell Death Differ, 18:174-82. 2011. Ivanovic Z. Physiological, ex vivo cell oxygenation is necessary for a true insight into cytokine biology. Eur Cytokine Netw 20: 7-9. 2009. KrstiÄ‡ A, Vlaski M, Hammoud M, Chevaleyre J, Duchez P, JovÄiÄ‡ G, Bugarski D, MilenkoviÄ‡ P, Bourin P, Boiron JM, Praloran V, IvanoviÄ‡ Z. Low O2 concentrations enhance the positive effect of IL-17 on the maintenance of erythroid progenitors during co-culture of CD34+ and mesenchymal stem cells. Eur Cytokine Netw 20:10-16, 2009. Kovacevic-Filipovic M, Petakov M, Hermitte F, Debeissat C, Krstic A, Jovcic G, Bugarski D, Lafarge X, Milenkovic P, Praloran V, Ivanovic Z. Interleukin-6 (IL-6) and low O2 concentration (1%) synergize to improve the maintenance of hematopoietic stem cells (Pre-CFC). J Cell Physiol 212: 68-75, 2007. Hermitte F, Brunet de la Grange P, Belloc F, Praloran V, Ivanovic Z. Very low O2 concentration (0.1%) favors G0 return of dividing CD34+ cells. Stem Cells 24: 65-73, 2005. Brunet de la Grange P, Barthe C, Lippert E, Hermitte F, Belloc F, Lacombe F, Ivanovic Z, Praloran V. Oxygen concentration influences mRNA processing and expression of the cd34 gene. J Cell Biochem 97: 135-144, 2005. Ivanovic Z, Hermitte F, Brunet de la Grange P, Dazey B, Belloc F, Lacombe F, Vezon G, Praloran V. Simultaneous maintenance of human cord blood SCID-repopulating cells and expansion of committed progenitors at low O2 concentration (3%). Stem Cells 22: 716-724, 2004. Ivanovic Z, Dello Sbarba P, Trimoreau F, Faucher JL, Praloran V. Human blood pre-CFU-GM are better mantained and expanded in vitro at 1% than 20% oxygen. Transfusion, 40: 1782-1488, 2000. Cipolleschi MG, Rovida E, Ivanovic Z, Olivotto M, Praloran V, Dello Sbarba P. The maintenance of hematopoietic progenitors in severely hypoxic cultures, an in vitro indicator of marrow-repopulating ability. Leukemia 14: 735-739, 2000. Ivanovic Z, Bartolozzi B, Antonio-Bernabei P, Cipolleschi MG, Rovida E, Milenkovic P, Praloran V, Dello Sbarba P. Incubation of murine bone marrow cells in hypoxia ensures the maintenance of marrow-repopulating activity together with the expansion of committed progenitors. Br J Haematol 108: 424-429, 2000. Ivanovic Z, Milenkovic P. The Belgrade laboratory (b/b) rat and the role of hypoxia in the maintenance of hematopoietic stem cells. Exp Hematol 24:1179-1180, 1996. Ivanovic Z, Milenkovic P, Vasiljevski M, Dekic M. Hemopoietic stem cells in the hereditarily anemic Belgrade Laboratory (b/b) rat. Exp Hematol 23: 1218-1223, 1995.